If you are like me, one of the first apps you open before flying your drone is AirMap. This is an airspace services tool that shows me where it is legal to fly for fun or for work. AirMap is also involved in the LAANC systems, providing automated airspace authorization for commercial pilots to fly in restricted zones. We just received an email from AirMap stating that they are performing some maintenance on their systems. If you plan to fly your drone on August 29th, 2018 from 13:00 PST until about 17:00 PST, please be sure to make your airspace arrangements ahead of time. The official airspace identification app is the B4UFly app from the FAA. In the back-end, services like AirMap pull from the same data, but are still considered third-party and unofficial by the FAA. At least, what they mean is, AirMap may be 100% accurate, but if there is any doubt, the FAA’s tools are the place to go. 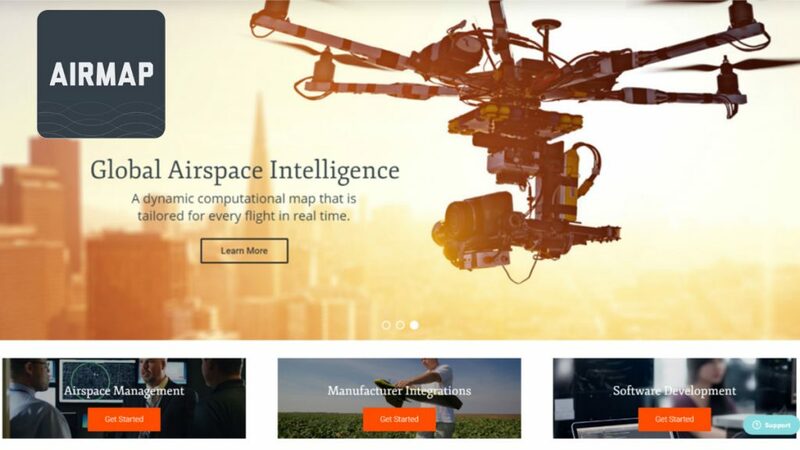 AirMap is a tool that goes beyond basic airspace identification and authorization, you can use the app to track your registered commercial UAS, and they have built in the ability to control many DJI drones. There are many great drone apps out there, and if you plan to find airspace info or attain authorization to fly tomorrow afternoon, you’ll have to choose one of those other apps. Rest assured, AirMap will be back and better than ever in just a few short hours. Also, stay tuned for our coverage of InterDrone in September, we’re meeting with AirMap to discuss some exciting new features they plan to roll out. As always, be smart out there and fly safe.